Nowadays, as more and more companies are offering localized services, local SEO is becoming a highly desirable skill. 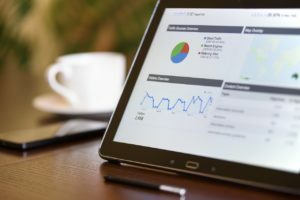 There are plenty of reasons for you to use local SEO but one of the most critical is that you can access highly responsive markets that are less competitive. Irrespective of the type of business you run, you can always take advantage of local SEO because you will always have clients in your local area. You will be able to grow your company in a new direction while finding better, targeted prospective clients. We will be looking at three excellent local SEO ideas that will help you rank in the area you are targeting for the correct keywords. If you want to benefit from local SEO, then you will need to put in the effort to find the right keywords to optimize your site. When you’re optimizing for a specific location, you need to look beyond the basic keywords. This way you will be closer to local users because you are considered more relevant and it also reduces the level of competition you are facing. In most of the cases, long tail keyword phrases are the ones that you should target because here people are sure of what they want. People use these phrases, more often than not, to conduct their searches which means you might get the desired result because they are also going to be taking action. Once you add a location to these keywords, they become even more specific. If you want to optimize your site efficiently then you need to make sure you spend enough time on keyword research and make sure you use the correct tools. You’ll see, in your profile, that you can upload relevant pictures to your business profile, and that’s something you should do. We know you’re professional about your business, so that is what your profile needs to project to visitors. Yes, your pics are very important, and they need to help people have some feelings of trust in you. The highest quality pictures will look the best, and that is what we always recommend to clients. Whether or not you actually hire a professional photographer is obviously up to you. Good, decent quality photos that are clear will suffice. Users that visit these sites are often looking for businesses that seem to be reliable and that’s impression you need to give them. You need to ensure that you are also building lots of backlinks to your site from other websites. This is a powerful strategy because the search engines will rank you higher the more incoming links you have from other sites. You be seen as an important resource for a particular phrase in a particular area. So it just makes sense to acquire backlinks from all those sites that you think are reputed and belong to the same location. Additionally, ensure that the server that is providing hosting for your website is located in the same area. This is one thing that can be extremely helpful to SEO but lots of people fail to realize it. Despite the fact that it is still at the beginning, we should expect a lot more from local SEO with the increase in the numbers of launches taking place for localized service companies. Once you get a good grasp of the dynamics of this type of local SEO, you won’t want to turn elsewhere, even if it takes a while to take full advantage.